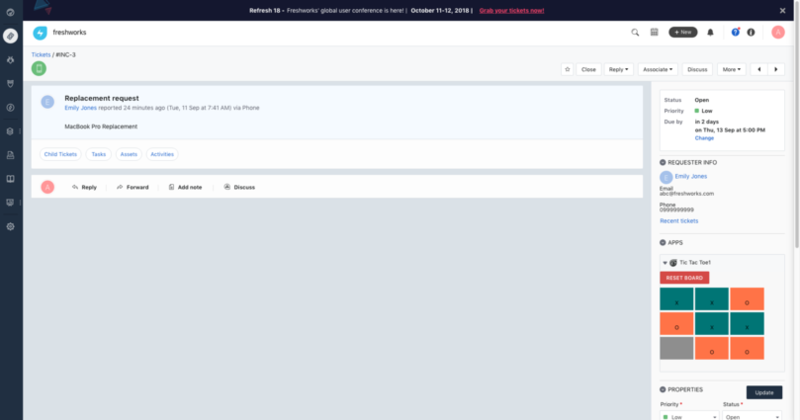 Integrating Tic Tac Toe app with your helpdesk enables you to make customer support more fun. A lot of tickets bogging you down? Take a quick breather and play Tic Tac Toe on your Freshservice screen itself. That’s right! 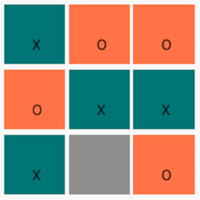 Presenting the Tic Tac Toe app which makes work more fun. Don’t let your productivity take a hit because of monotony. Knock back some support tickets, beat the computer at Tic Tac Toe, bring your focus back and jump into providing top class customer support again. 3)Click on "Get More Apps" and select Tic Tac Toe.